Thinking about a divorce but aren’t sure where to begin? Here are a few things you need to know before taking the first step. · Make sure you really want a divorce. Yes, this does sound like common sense, but many people are not 100% sure they want a divorce when they make the first call to a lawyer. Please remember that a divorce is final. When you get divorced, you and your spouse are no longer a legal entity and your household funds are roughly cut in half. If you have any doubts about filing for a divorce, contact a local couple’s counselor and try to talk your issues out before committing to a divorce. · Find a lawyer you like and trust. A lot of clients ask why it is important to like your lawyer, and the main reason is because you will be working very closely together and discussing intimate details of your marriage. 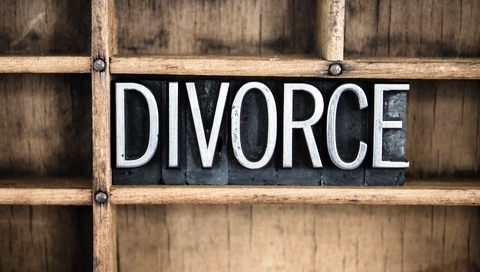 · Set aside money for a divorce. Before you can file for a divorce, you have to pay your lawyer a retainer fee. A retainer fee is a deposit that is paid up front that they will hold in trust that you can and will pay them the remaining amount once the divorce is filed. After you pay your retainer fee, if your spouse is the only one providing for your family, your lawyer can ask the court to require your spouse to contribute to your legal fees but you are still responsible for your fees until a judge grants you funds from your spouse. · Do your part. Once your case is filed, your lawyer has to adhere to strict deadlines. You need to have all of your paperwork in order and be able to hand over any information your lawyer inquires about in a timely manner. If you ignore or violate the court deadlines, you may be sanctioned. · Leave the legal advice to your lawyer. Many clients ask for advice from friends, co-workers, or even their current spouse during the divorce process. Asking for advice from outside parties can result in you second guessing your lawyer and ignoring some of their advice. You need to only listen to the advice from your legal team. They are paid to keep your best interest first. Contact Dreyer Law today to schedule a consultation. You need to make sure that a divorce is the best solution to your marriage.